Thought Your Wedding Day Couldn’t Get Any Sweeter? 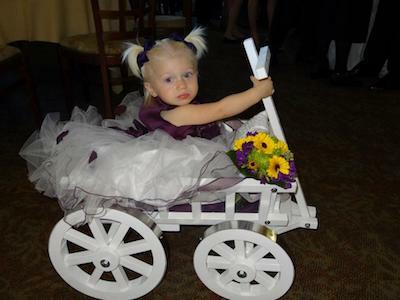 Flower Girl Pumpkin Wagons by Mini Wedding Wagons are the perfect way for your Flower Girl to make their entrance! 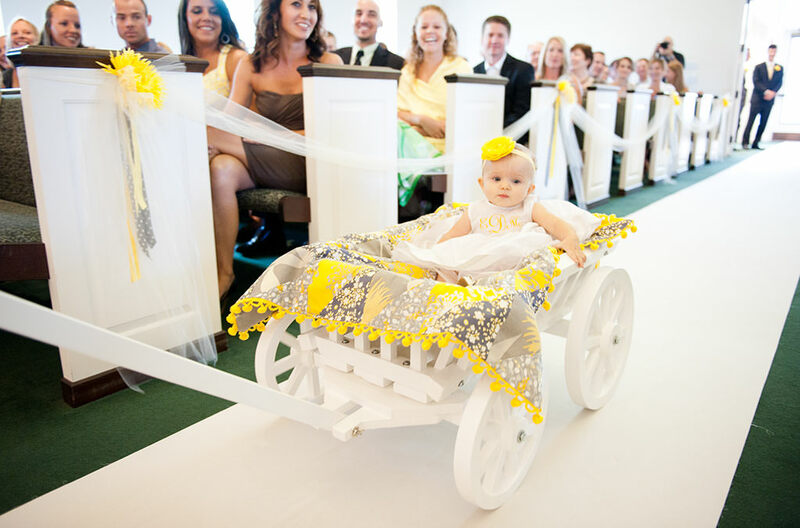 Wagons come in four sizes and can comfortably carry the tiniest of children or your Flower Girl and Ring Bearer. What a way to start your Happily Ever After! Pumpkin Wagons come in four sizes and can be left unfinished, stained, or painted. 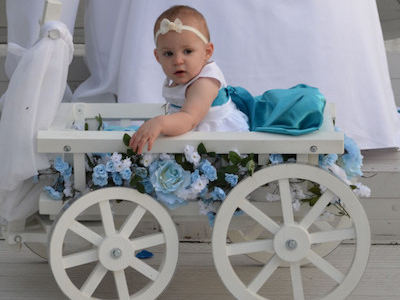 Fill your wagon with flowers or tulle. Top it with hoops to recreate Cinderella’s pumpkin carriage. Add a sweet sign to announce your upcoming walk down the aisle. The possibilities are endless – and we can’t wait to help make your dream come true! Meant for infants up to about 12 months old. Good for a single child up to 3-4 years old. Two infants can sit facing each other or one can straddle the other. Great for one elementary school-age child. Two toddlers can sit side-by-side too. Multiple babies can fit in a large wagon, too. Wider than the Large wagon and will hold 3 or 4 children. 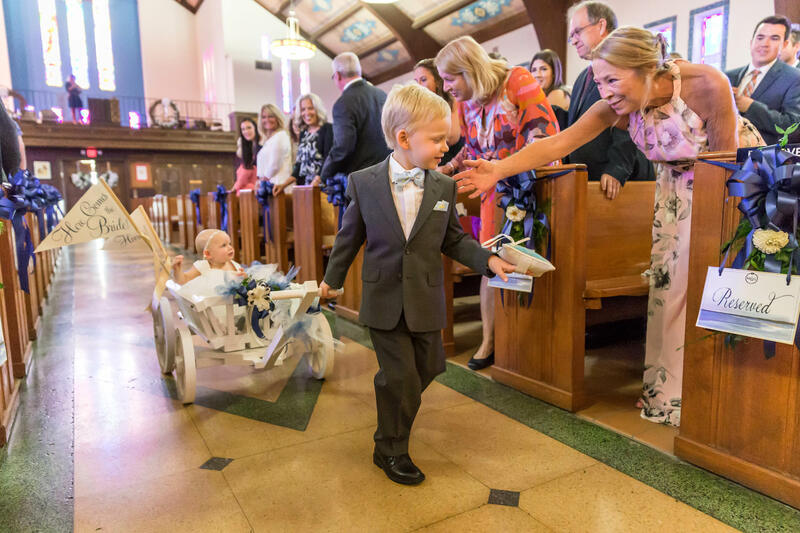 What Size Wagon Is Right For Me? 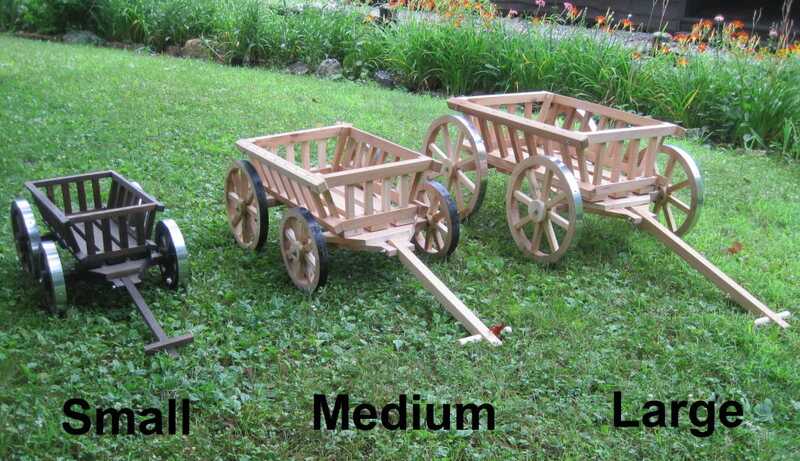 Please check wagon measurements to make sure the child you want to carry is not too large for the wagon. Not sure? See our gallery for more ideas on sizing. 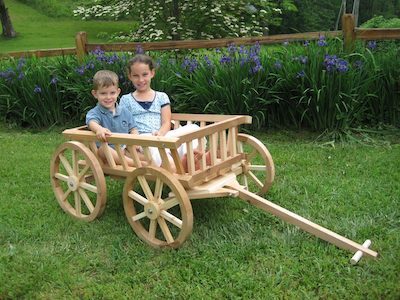 All wagons are handmade in our family workshop located in the Western mountains of North Carolina! 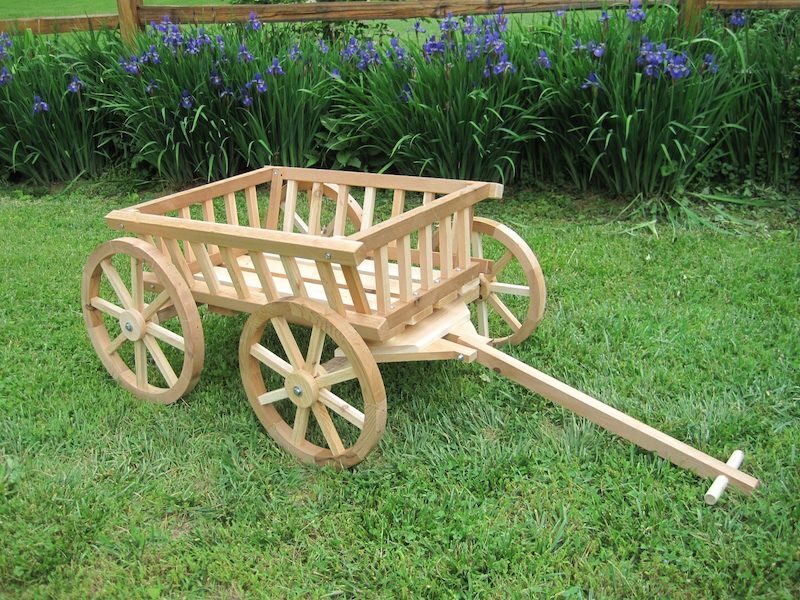 Our base rate includes an unpainted wagon ready to paint the color of your choice. 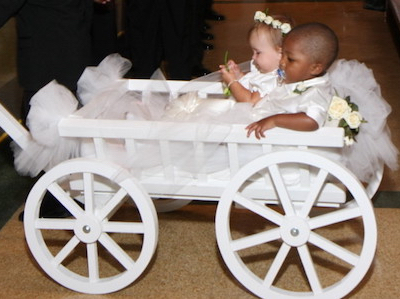 Mini Wedding Wagons can also stain or paint the wagons for you. Options include a dark or light brown stain or white or ivory paint!